Whether you like skiing or boarding, sledding or hiking… if you like snowsports, you’ll find what you are looking for in Zermatt. 394 km of pistes provide a wide variety of skiing in an international ski area situated on the border between Switzerland and Italy. 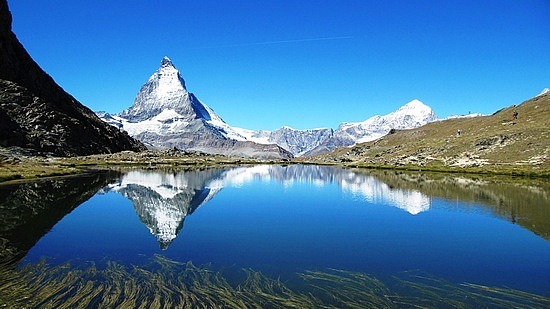 The area is dominated by the stunning scenery of the Matterhorn and Zermatt’s pluses can be summarised as follows – awesome scenery; amazing mountain restaurants; fantastic and varied skiing. 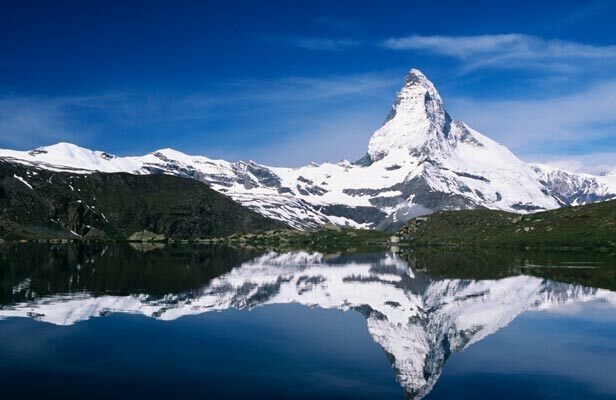 Because of abundant snowfall, high altitudes and the glacier area of the Klein Matterhorn, Zermatt offers some of the finest skiing in Europe, and glacier skiing can be enjoyed well into the summer. The high and extensive terrain stretches across three individual mountains and mainly caters for intermediate and experienced skiers. The resort is best known for its excellent powder skiing, although off-piste areas and unofficial runs should only be explored with a guide, due to sudden drop-offs and avalanche risk. Intermediate skiers have a wide range of slopes to enjoy around the Zermatt-Matterhorn Ski Area and it is possible to ski across all three mountains in a day. Klein Matterhorn is reached by the highest aerial cable car in Europe that provides access to a snowboard half pipe and the longest ski run in Europe, an exhilarating slope with breathtaking views that drops all the way down to the village. The easiest slopes are high up on the glacier in the Klein Matterhorn region, but beginners should be aware that trails that start out as novice often end up being intermediate and there are no beginner trails that connect the mountains. Snowboarders share the same exciting terrain. There is plenty to keep the expert and intermediate happily challenged. Unsuitable for beginners, as it can be quite steep and rocky in parts. Rather upmarket resort, also popular with nonskiers for its range of alternative activities and walks. The accommodation is mostly good-quality, pricey hotels, catered chalets and a wide choice of self-catering apartments. This is not a resort for beginners and the ski school has a poor reputation. Getting up the mountain and around the different ski areas can be slow, and the waiting time for lifts during the peak holiday season can be long. Some of the expert slopes only open in January or early February. 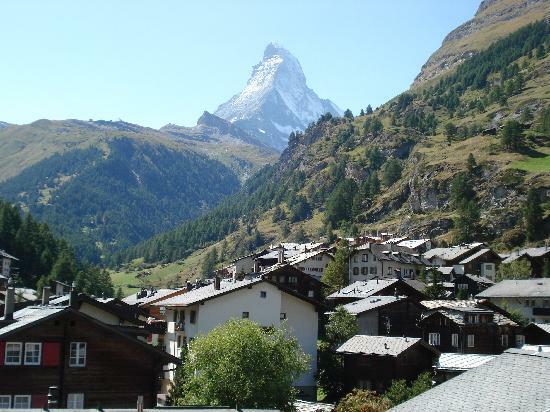 Located in the extreme south of Switzerland, near the Italian border, 30 mls south west of Saas-Fee lies Zermatt (140 mls east of Geneva and its international airport, 130 mls SE of Bern and its international airport). There are 2 ski schools, with many English-speaking instructors. The instruction does not generally start until Monday, which is not very useful for guests arriving on Saturday. 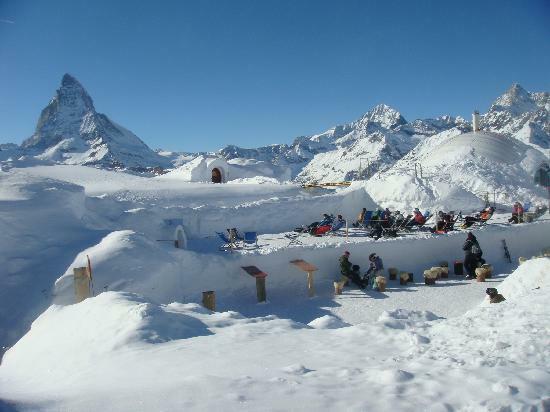 Ski-passes can be bought for the entire Zermatt area, for the Zermatt/Cervinia area or the Klein Matterhorn/Cervinia area. Good but expensive off-piste skiing and heli-skiing also available. There is a good selection of shops, including a large number of high-end jewellery stores , plus designer fashion shops, lots of quality Swiss souvenirs. There is also a fair number of art galleries. Prices in this resort are pretty high. Daytime winter activities include snowboarding, paragliding, cross-country skiing, snowshoeing, winter hiking, ice climbing, curling, ice-skating. tennis, squash, bowling, sledging, tubing and sleigh rides. Indoor activities include tennis, swimming and golf . 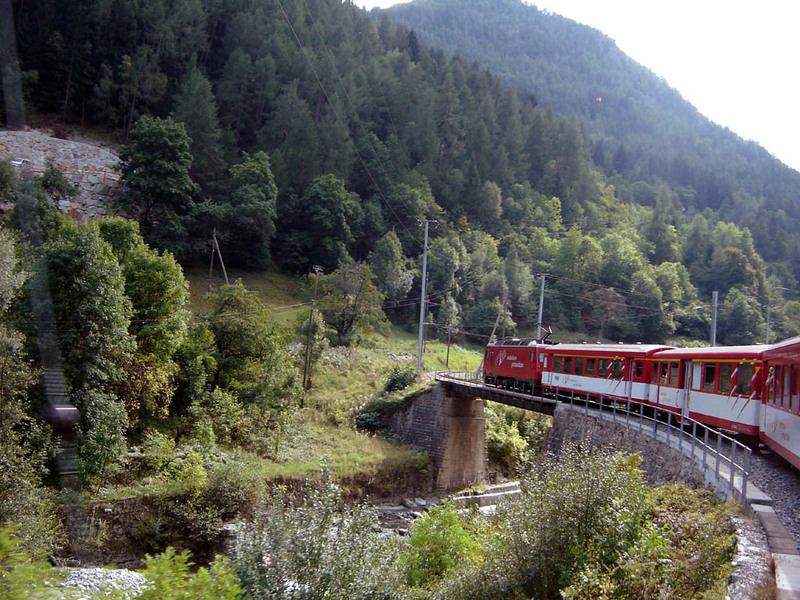 During the summer: hiking and mountain-biking are both very popular. The nightlife in Zermatt is very lively, with plenty of bars, discos and restaurants. Zermatt has reputedly has more restaurants than any ski-resort in Europe and has something to suit all tastes and pockets, from the cheap and filling fondue to more sophisticated gastronomic feasts. 38 on-slope restaurants.